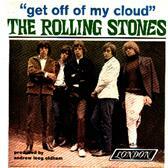 The song Rolling Stones - Get Off Of My Cloud is professional recreation. It is not by the original artist. (I Can't Get No) Satisfaction Rolling Stones Your browser does not support the audio tag. 19th Nervous Breakdown Rolling Stones Your browser does not support the audio tag. Angie Rolling Stones Your browser does not support the audio tag. Anybody Seen My Baby? Rolling Stones Your browser does not support the audio tag. Beast Of Burden Rolling Stones Your browser does not support the audio tag. Brown Sugar Rolling Stones Your browser does not support the audio tag. Con le mie lacrime (As tears go by) Rolling Stones Your browser does not support the audio tag. Don't Stop Rolling Stones Your browser does not support the audio tag. Emotional Rescue Rolling Stones Your browser does not support the audio tag. Fool To Cry Rolling Stones Your browser does not support the audio tag. Get Off Of My Cloud Rolling Stones Your browser does not support the audio tag. Gimme Shelter Rolling Stones Your browser does not support the audio tag. Happy Rolling Stones Your browser does not support the audio tag. Honky Tonk Women Rolling Stones Your browser does not support the audio tag. I Can't Get No Satisfaction Rolling Stones Your browser does not support the audio tag. I'm a king bee Rolling Stones Your browser does not support the audio tag. It's All Over Now Rolling Stones Your browser does not support the audio tag. It's Only Rock N' Roll Rolling Stones Your browser does not support the audio tag. Jumpin' Jack Flash Rolling Stones Your browser does not support the audio tag.